G-Field is at Fashion For Life with some exclusive colors of the newly released Puff Sleeve Dress “Taylor” and the Wedge Pumps “Adele”. I can’t resist a good cause, so I picked up this darling Mint colored dress that includes a matching ribbon headband. If you do stop by, don’t forget to pick up the free gift (a pack of headbands). G-Field shoes are so darling, and always just the right price. I picked up this fatpack of 20 color (9 shown above) for just $1800L, also at Fashion for Life, or at G-Field’s main store. 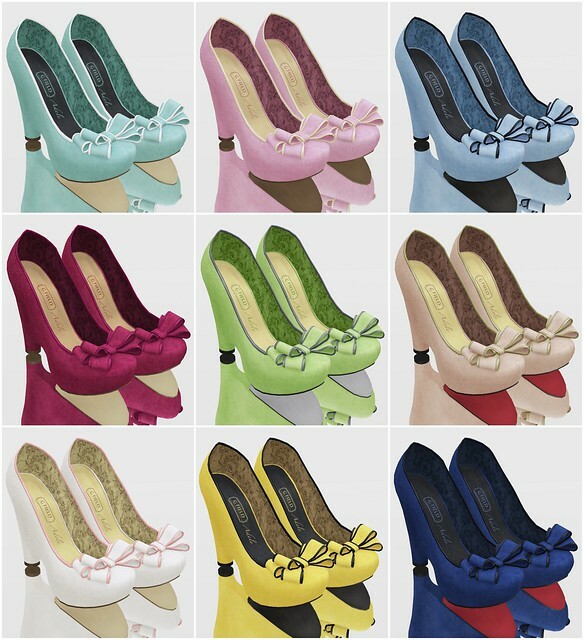 With the HUD, you can mix-and-match any color, trim, and sole combination! 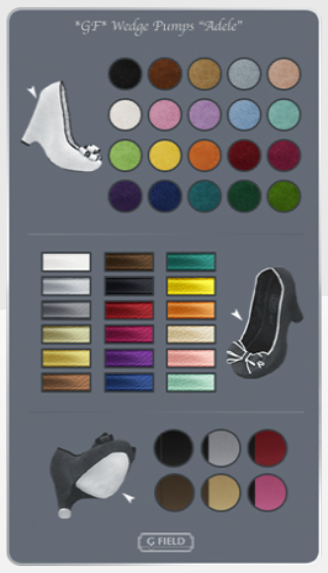 These shoes will go with nearly everything in my inventory, since I have a lot of light colors and neutrals, too. It was a gift at one of the fairs awhile ago. I don’t know where it is now, sorry.